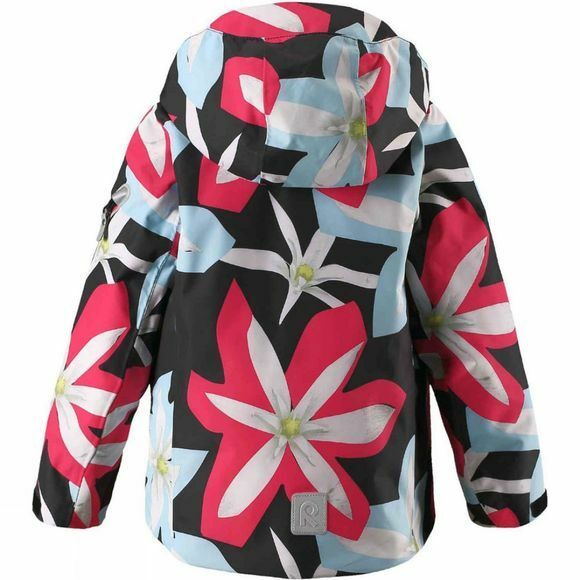 Kids' totally waterproof and windproof Reimatec winter jacket equipped with many functional details. The jacket comes with sealed seams and the technical material is water and dirt repellent and breathable. Lined with smooth polyester, the jacket is easy to dress and feels comfortable with warm mid-layers. The jacket is equipped with adjustable cuffs and hem which enable a good, unique fit. The powder skirt can be attached to its special spots in the lining if not in use. The detachable and adjustable hood is safe when playing outdoors because it comes off easily if caught on something. The hood also has a neck protecting wind flap and a visor. The trendy winter style is finalized with reversed pocket zips, ski card pocket on the sleeve, the breast and zipper pockets, and a special pocket for ReimaGO sensor. This easy-care jacket can also be tumble-dried. 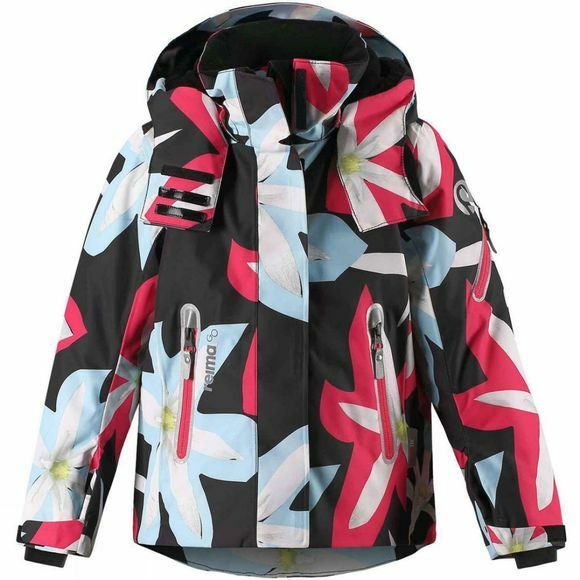 Plenty of functional details makes this durable jacket ideal for winter outings, especially for the slopes!